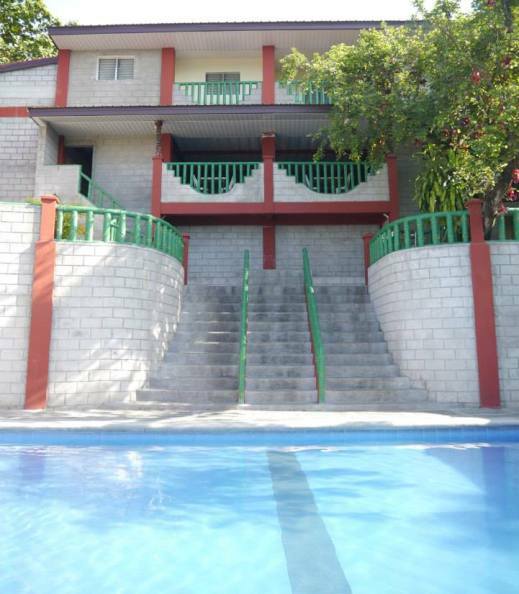 3B Resort resthouse is one of the few affordable private resorts in Antipolo. It has already witnessed countless family reunions, group outings, birthday celebration, team building events, debut, wedding anniversaries and cheap getaways in the highlands of Antipolo in summer. Prices of the package overnight is inclusive only of the particular room you wanted to reserve. All prices listed however is subject to change without prior notice to public so we suggest that you regularly visit this page for any updates. Be sure to check out their official Facebook Page but if you like, we have more details below. This scenic resort is located near the time elapsed historical Hinulugang Taktak, a popular and familiar memorabilia from my childhood where me, my sibblings and parents used to come for boating experience and swim fun in a waterfall. We have the complete contact details of 3B Resort below including their amenities, photos, a video and accommodation reservation, fees, rates, procedures and a Google map direction for those who want to know how to get there easily by commute or if you have your own car / vehicle. Watch a video below taken from YouTube.Com or see the pictures of the resort as we have posted above. 3B 6: Php10,000 for 11 hours (with Aircon & good for 20-30 pax. If you wanted to know how to get to this simple yet cheap private swimming pool resort in Antipolo, please see the location guide in our Google Maps resort locator embedded below. On the other hand, if you want to see more pictures of this resort from those who have been there, please visit the resort official Facebook Fan Page here - https://www.facebook.com/pages/3B-Rest-House-Antipolo-City/193687077393614. Otherwise, please feel free and visit our other posts where you can choose which is best for your summer outing. Why not try somewhere South. See our list of Laguna resorts and to the North, you can view our list of the different wave pool resorts in Bulacan. Advertise Your Resort for (1 Week) FREE!